In summary, you can find a study to validate whatever perspective you have on this matter, but most research cautions that lobsters probably do feel pain. I don’t know about you, but I’ll be on the safe side, and try not to hurt any of the decapod crustaceans I meet. Currently I am involved in a local campaign to protect lobsters from being used as live bait in a game that is popular in my area. It is similar to arcade games that allow players to try their hand at winning a stuffed animal—a joystick controls a mechanical claw and for a couple dollars players can try to maneuver the claw to pick up a live lobster. If they are successful, the lobster will be dropped down a chute and brought to the kitchen; it will be returned, boiled, with a complimentary dish of melted butter. The campaign to abolish this game in my community has lobsters on my mind on a regular basis. I began to research them, but it seems they are not a popular focus. 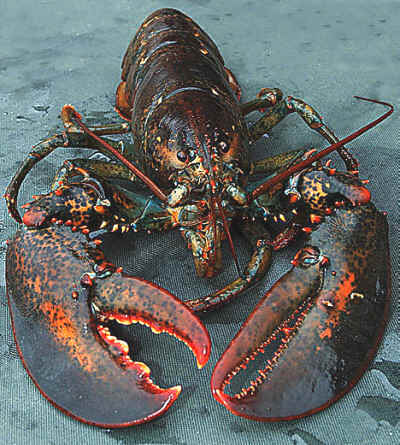 Lobsters have made few appearances in popular and animal protection culture. I once heard Tom Regan replace the lobster with a cat as a preface to a lecture on the moral consideration of animals. He tells the story of a cat being boiled alive to capture the audience’s attention about the severity of animal suffering throughout the world. 1989’s Little Mermaid got as close as it comes to creating a loveable lobster character with Sebastian the crab. Ariel’s sidekick was not a lobster, but as a crustacean, is the only thing we have in the way of an invertebrate pop culture icon. David Foster Wallace’s essay, "Consider the Lobster," is perhaps the most public attention lobsters have received in some time. In this essay, Wallace explores the Maine Lobster Festival. He was asked to cover the event for Gourmet Magazine and ends up questioning the moral issues of both the festival and the particularly brutal methods used to kill lobsters (boiling them alive or stabbing them through the back of the head with a knife). However, aside from these cameo appearances, crustaceans are rarely addressed, even by the animal protection movement. Lobsters have, however, made a striking appearance on the plate. The exact number of lobsters eaten in the U.S. is unknown, since the USDA broadly classifies them among all "shellfish." But shellfish are clearly a popular culinary choice. In 2008 U.S. citizens ate a total 4,861 million pounds of shellfish, amounting to 16 pounds of shellfish consumed annually per capita. 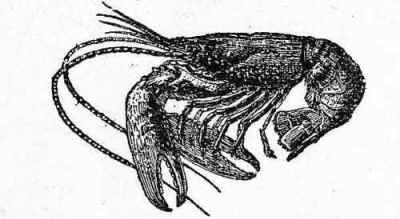 According to Wallace, while the animals are now considered a delicacy, they were once the food of the poor, in abundance off the coast in the northeastern United States. Today, lobsters can still be consumed cheaply through the many lobster festivals throughout the country. But there are many animals that are used as food who do not receive such public wrath. While all food animals are subject to abusive circumstances, crustaceans are treated with a level of public objectification unparalleled by other animals—not only are they subjected to games like the one described above, they are the only live animal sold in large U.S. grocery stores chains. Why is it acceptable to treat lobsters in a fashion that would be criminal if it were any other animals? It seems that lobsters can be so egregiously mishandled because of the public perception that they are “alien” and the belief that lobsters do not feel pain. Since the lobster has received very little attention by the animal protection community to date, I am going to give them my due diligence and explore this "lobster issue" in depth with two additional posts. In the next post I will investigate research on social attitudes toward lobsters and following that I will attend to the "pain debate." Invertebrates constitute over 90% of all animal species on the planet, and we come into contacts with invertebrates on a daily basis. Even so, few people have sought to study social attitudes toward invertebrates. There are only two comprehensive studies that examine attitudes toward animals such as lobsters. Janis Wiley Driscoll of the University of Colorado assessed peoples’ attitudes toward different species of animals and Stephen R. Kellert of Yale University looked in depth at the value of invertebrates to human society. Both researchers found that people have a generally negative view of lobsters. "[This group] included animals which are used by humans for food or which we have been taught are useful to humans (e.g., eats bugs, improves the soil). These animals were given high ratings on usefulness, importance, and safety, but were seen as stupid and unloveable. Lobsters were rated as somewhat more dangerous that the rest of the group and ladybugs as more loveable." Driscoll turns to the research of Michael W. Fox to explain her findings. According to Fox, the public’s attitudes toward animals is based on the way the species has historically been used by human society, its utility to humans, and the way people emotionally react to that species. Lobsters have a history of high utility and low appreciation in U.S. society. In his essay, “Consider the Lobster,” David Foster Wallace explains that lobsters were once plentiful and could cheaply feed people. As such, into the 1800s, they were seen as low-class food and regarded as low on the food chain. Today, however, the role of the lobster has changed. They are still disregarded singularly as a food animal, but they have moved social classes. Today, lobster is expensive and is an item of culinary conspicuous consumption. Lobsters’ social role may be tied to the fact that they engender negative emotional reactions. According to Kellert, “the general public… were found to view most invertebrates with aversion, anxiety, fear, avoidance, and ignorance.” He turns to past research to explain this negative reaction and finds a few plausible explanations. One explanation is that it is an evolutionarily driven fear to avoid dangerous invertebrates, such as poisonous spiders. Other evolutionary explanations include the association of invertebrates to disease and crop depletion. This aversion appears to be translated into beliefs about these animals’ capacities for intelligent thought and suffering. The majority of respondents in Kellert’s study viewed invertebrates as incapable of pain and without a rational consciousness; those in Driscoll’s study rated lobsters very low in terms of intelligence and responsiveness. Are these educated beliefs, or merely perceptions that accommodate the way that lobsters and other invertebrates are treated in human society? In Part 3, I will explore the biological research about lobsters’ capacity to feel pain. Part 3 - Do Lobsters Feel Pain? Clearly, the sense of metaphor had been lost. 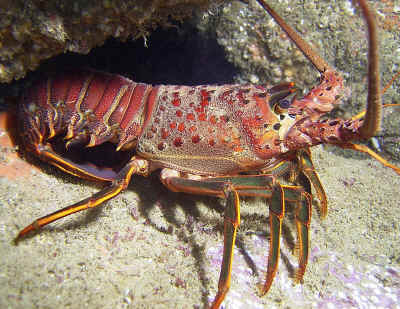 But the game’s supporters were pointing out something important that allowed for the game to be created in the first place—lobsters appear to be quite different from humans. These differences can make it difficult for some people to relate to lobsters and easy to assume that they are not sentient creatures deserving of consideration, leaving us with the question, do lobsters feel pain? The answer is yes… probably. Lobsters have a series of 15 nervous ganglia that span the length of the lobster, on the ventral side or belly side, with nerves projecting from each of these ganglia. The first ganglion is the closest thing to a brain… Lobsters don’t have a cerebral cortex, which is where pain is processed in humans or dogs and cats. This leads them to conclude that, “If [lobsters] do feel pain, it is most definitely in a different way than humans do...[they] probably don't have the capacity to feel pain.” This explanation is premised on the idea that having different biological systems for processing stimuli leads to an inability to have equivalent experiences with certain stimuli. [T]he behaviour of decapod crustaceans shows that they can recognise and remember painful or threatening objects or situations and try to avoid them. The animals also have the ability to learn and to make discriminations. They show some understanding and memory both of places and of other individuals, for example by forming social hierarchies when a number of animals are kept confined together.